More monsters! 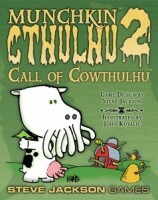 Hog-Sothoth, the Sheep Ones, Shoggoats – even Cowthulhu itself! A special card type – Madness! These are played like Curses, but every Madness has its advantages as well! And more of everything else. Watch out for Old Man Nodens with his faithful Doggoth. Defeat the Arkhamster with your Prize-Winning Preserves. And fear... Bovine Intervention! 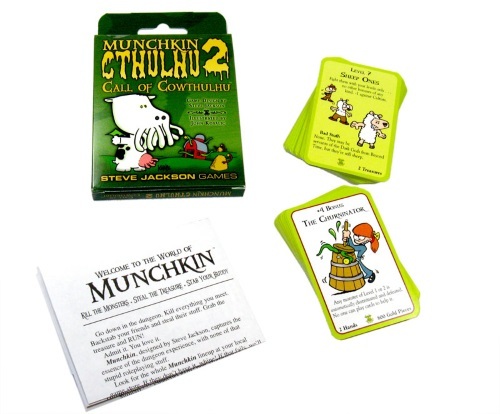 Add a Review for "Munchkin Cthulhu 2: Call of Cowthulhu"